This vehicle is being sold as is, unfit, not e-tested and is not represented as being in road worthy condition, mechanically sound or maintained at any guaranteed level of quality. The vehicle may not be fit for use as a means of transportation and may require substantial repairs at the purchaser's expense. It may not be possible to register the vehicle to be driven in its current condition. This vehicle is being sold as is, unfit, not e-tested and is not represented as being in road worthy condition, mechanically sound or maintained at any guaranteed level of quality. The vehicle may not be fit for use as a means of transportation and may require substantial repairs at the purchaser's expense. It may not be possible to register the vehicle to be driven in its current condition. *This Honda CR-V Comes Equipped with These Options *Tire pressure monitoring system, Tilt & telescoping steering column, Steering wheel-mounted cruise controls, Side curtain airbags, Retractable centre tray table, Remote fuel filler door release, Remote entry system, Reclining 60/40 split sliding fold & tumble forward rear seats w/centre pass-through, Rear window defroster, Rear seat heater ducts. *See What the Experts Say! *As reported by KBB.com: Few vehicles do as many things as well as the 2009 Honda CR-V. As practical as a backpack, this benchmark crossover is an easy, stylish one-size-fits-most car choice. 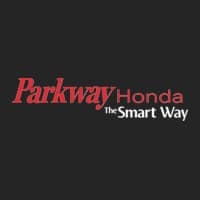 *Stop By Today *Come in for a quick visit at Parkway Honda, 1681 Eglinton Ave East, Toronto, ON m4a1j6 to claim your Honda CR-V! **With approved credit. Terms may vary. Monthly payments are only estimates derived from the vehicle price with a 72 month term, 5.9% interest and 5% downpayment.